Are you or your kids Minecraft crazy? We've got lots of Minecraft free printables. 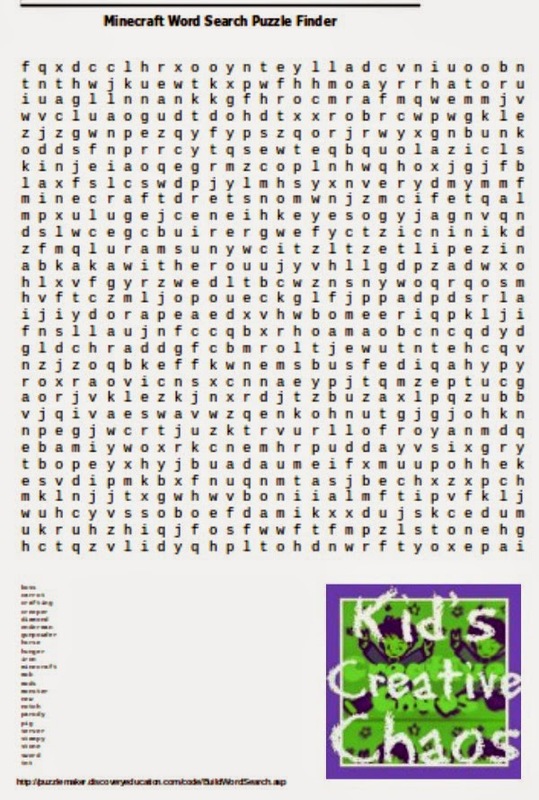 This word search is a printable PDF, click the links to visit our MediaFire page and download your FREE Minecraft word activity. Enjoy! Minecraft Free Printables: Word Search Finder.